This blog is no longer active. All new cocktails and some of the cocktails from this blog are now on my other blog, Sidewalk Shoes. Click here to see this Classic Frozen Daiquiri at Sidewalk Shoes. 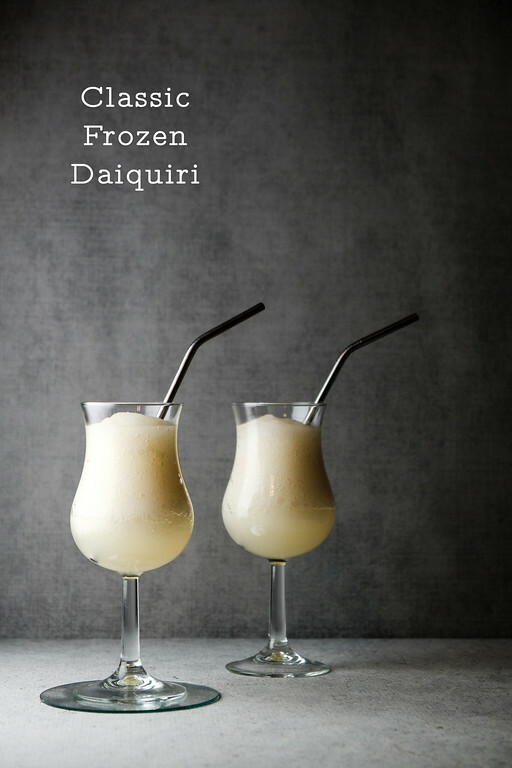 Great blog post, I could have certainly used 1-4 of these Classic Frozen Daiquiris yesterday with the day I was having. I am thinking I may just make these for our next gathering. Thanks for sharing your recipe for Classic Frozen Daiquiris. Looks rather delicious! We’ll have to try that over the weekend. Thanks. I’ve never tried a classic daiquiri!! I’ve only ever had strawberry ones, but this looks great! I’ll have to give it a try! This cocktail sounds so refreshing. Fall weather hasn’t arrived here in Georgia yet. You can’t go wrong with a classic drink and this is a good one. Delicious my kind of drink, thanks for sharing with Hearth and soul blog hop, pinning, tweeting. I’d like a couple of these.